The role of bio and synthetic methane in the current and future natural gas mix is imperative to the reduction of greenhouse gas emissions. Unlike other biofuels, both bio and synthetic methane are fully compatible with the current mix, infrastructure and use of gas. Renewable gases are already being used and contribute to the overall decarbonisation of road transport, in-line with the objectives set by European policies. 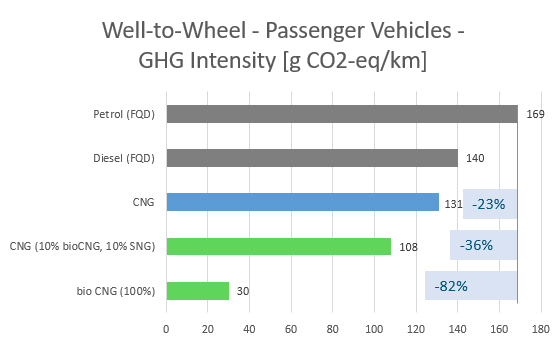 Even the current and relatively small amount of renewable gas added to the total mix has an immediate and positive impact on reducing GHG emissions, and it could enable whole fleets of vehicles to become carbon neutral. An additional advantage of using renewable gas, such as bio-methane, is that it uses waste and organic biomass, producing at the local level a clean, high-quality fuel, while providing a virtuous example of circular economy. In the case of synthetic gas, a similar benefit is achieved by converting surplus electricity into synthetic gas through the electrolysis of water and the combination of the hydrogen obtained with captured CO2 to produce methane. As such, it is the ideal solution for a flexible and integrated system to store excess electricity from intermittent renewable electricity using the gas infrastructure. 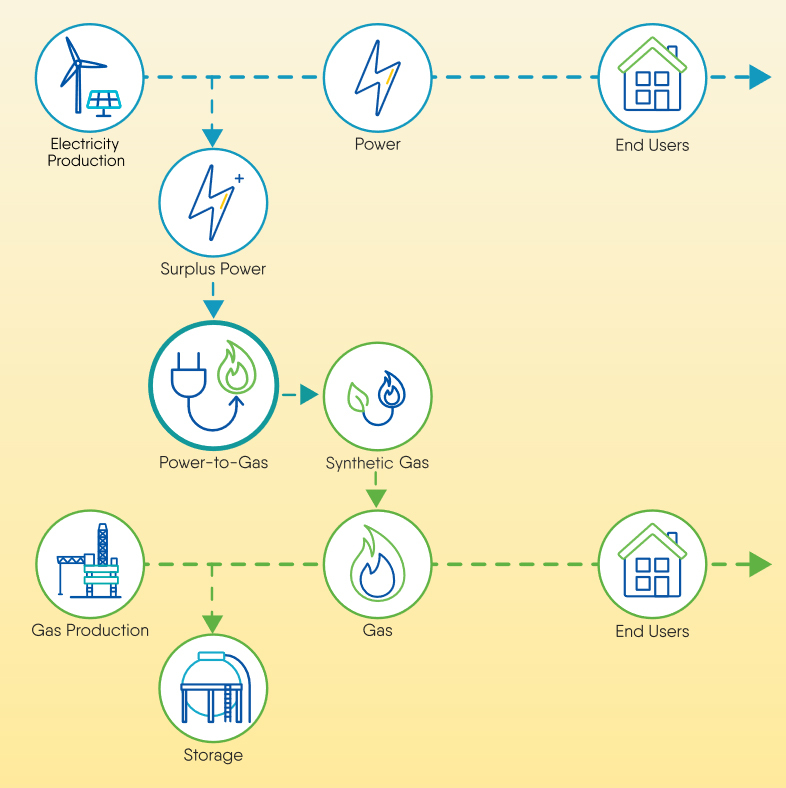 The picture on the left shows this process, starting from the production of excess renewable power, converting it to synthetic gas and thus allowing its use in homes and transport. Looking ahead to the future, the blends of biomethane and synthetic gas in the overall mix will offer significant potential to further reduce emissions from road transport. For example, blending just 20% of renewable gas with natural gas reduces GHG emissions by nearly 40% compared with petrol for passenger cars. A share of close to 20% renewable gas in the grid is already the case for countries such as Germany. Whereas other European Member States, such as Sweden, already have up to 70% biomethane share. Outside of Europe, more than 50% of the natural gas used in transport in California, a state with the tightest environmental standards, is biomethane. 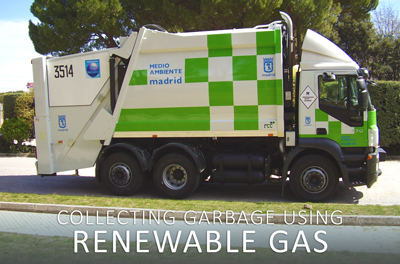 Natural and renewable gas is increasingly used for waste collection, transit, and heavy-duty freight trucks. Bio and synthetic methane must contribute significantly to achieving the biofuels targets in transport established by the Renewable Energy Directive (RED) for 2020 and 2030.